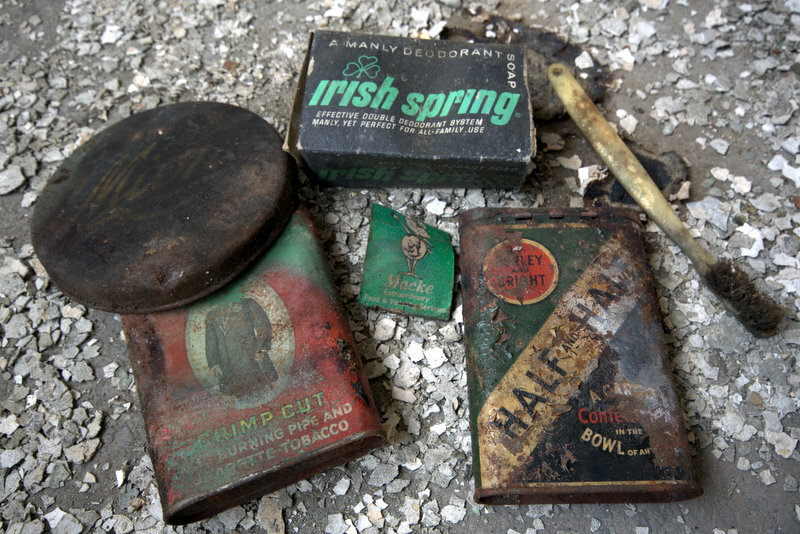 There was a time when almost any product imaginable was being produced in Philadelphia’s “Workshop of the World.” Despite this immense diversity, the city spawned relatively few companies that would ever reach the size or notoriety of corporations like Bethlehem Steel or General Motors. When thinking of the past giants of American industry a few names usually spring to mind–Ford, Rockefeller, Carnegie, Vanderbilt, Edison, Morgan. The name “Budd” on the other hand is not so familiar. Yet, few companies ever reached the size of The Budd Company, and few men have ever made such significant contributions to their field. Budd broke the mold in the application of stamped and stainless steel for decades, going on to revolutionize rail car and automotive manufacturing, becoming an industry leader in the production of both for over 50 years. Edward Gowen Budd was born in Smyrna, Delaware on December 28, 1870. From a young age he already showed an interest in mechanical trades. After graduating from high school Budd took an apprenticeship as a machinist with Taylor Iron Works. In 1890, at the age of 20, he moved to Philadelphia and accepted a job as an apprentice machinist at the Sellers Machines and Foundry Company before moving on to another junior position at the Bement-Pond Tool Company, a manufacturer of hydraulic presses. It was not long before he moved up at the firm to become the head of hydraulic press design department. Even as he climbed the ladder at work, Budd stayed busy in his off-time taking night classes in mechanical engineering and drafting at the University of Pennsylvania and the Franklin Institute to further his formal education. In 1898, Budd left the Bement-Pond Company to join the recently formed American Pulley Company as it’s chief draftsman. This company, founded in 1895, though new, had recently found great success with its new stamped steel pulley, designed by a friend of Budd, Connecticut-born Thomas Corscaden. This new pulley was lighter and far cheaper to produce than the cast steel or wood and steel pulleys that preceded it. Budd’s experience as a draftsman and with hydraulic presses, essential to the manufacture of steel stampings, made him a natural choice and he was quick to prove his worth. That same year he patented a new die for producing steel stampings. By 1900 Budd had already patented his own new stamped pulley design. His acuity for not only the practical side of stamped steel manufacturing, but for the conceptual as well were not going unnoticed in Philadelphia’s manufacturing circles. In 1902, Budd left his position as chief draftsman for American Pulley to take on a similar position, but at double the salary, with the Hale & Kilburn Company at their plant at 150 North 6th Street. The Hale & Kilburn Company was the world’s premier producer of furniture for rail cars and trolleys. Like its competitors, Hale & Kilburn produced furniture constructed of wood and cast iron, but the company was quick to recognize the value offered by using stamped steel construction and for several years had already been buying stamped components from the American Pulley Company. In his new position Budd was tasked with designing new railroad furniture and retooling their factory to manufacture it, a task he accomplished rapidly. While much of this success was owed to his intimacy with stamped steel production, it was also due to the perfection of the recently created process of “arc welding” by Budd and fellow Hale & Kilburn employee Morris Lachman. Their improved method of arc-welding allowed their stampings and parts to be attached together in ways that were previously impossible. This new line of railroad furniture, lighter and more durable that any other on the market, ballooned the companies profits so much that, by 1904, Budd had become the plant’s production manager and held a seat on the Board of Directors. Demand grew so great that the company built a modern factory adjacent to the Pennsylvania Railroad tracks at 17th and Glenwood Streets. Hale & Kilburn moved into their new facility in 1905. With business booming, it was not long before Budd began to work on branching out into more than just furniture. Budd continued his experimentation with shallow draft steel stamping and produced an all-steel rail car body prototype, yet another technical achievement and a first for Budd. Railway cars at the time were almost entirely constructed of wood, which meant not only the constant danger of fires from the coal stoves that heated them in the winter, but also catastrophic destruction when trains would wreck. Wooden cars would splinter and break apart, with rear cars often shattering those ahead of them creating a mangled wreckage that often caught fire to the detriment of any passenger unlucky enough to survive the initial crash. These design and safety issues lingered for years. Many had advocated for the introduction of all steel passenger railway cars, but the expense of such an undertaking made railroad companies reluctant to take the leap and replace their entire fleet, or so was the case until the Pennsylvania Railroad stepped up to the plate in 1906. This new passenger rail car was built by the Pullman Company, an experienced and respected rail car manufacturer, with Budd at Hale & Kilburn designing and providing the major stamped steel components for assembly. These new cars were noted as being only 10 percent heavier than existing wooden cars, but far safer. Around the same time Budd’s growing reputation led to Hale & Kilburn being contracted to produce the steel body components for yet another rail car manufacturer, the McKeen Motor Car Company of Omaha, Nebraska. Although these unconventional cars were ultimately unsuccessful, the innovative aerodynamic design of the pointed “Windbreaker” gasoline-powered railroad cars would have a lasting impact on Budd. The project would influence his own designs 20 years later when the he created his own “streamliner” cars that forever change how trains were constructed. Budd’s reputation became nationally renown not only for metal fabrication, but for his willingness to push the limits of what could be made of steel. In 1909, Emil Nelson, the chief engineer at Detroit’s Hupp Motor Company, approached him about creating an all-steel automobile body. At the time, like train cars, automobile bodies were composites of wood, steel, and leather, mounted on a chassis. While steel stamping had advanced significantly by 1909, the shapes and curves required on automobiles remained difficult to achieve. It was so difficult that Nelson could not find a single firm in Detroit that was willing accept his contract before reaching out to Budd and the Hale & Kilburn in Philadelphia. Budd rose to the occasion, confident in his abilities and certain that the future of auto-making was in steel construction. He crafted the car bodies of stamped and welded steel sheet to achieve the requisite shapes. These bodies were sent by rail to Detroit and were assembled and finished to become the Hupmobile Model 32, the world’s first steel bodied car. But this success would be short lived. In 1911, J.P. Morgan purchased the Hale & Kilburn Company for $9 million (the equivalent of roughly $222 million today), and rapidly began replacing their management with new corporate administrators who had little background in metal fabrication or manufacturing. The freedom to experiment and and take on challenging, but risky projects that Budd had previously enjoyed was stifled by his new bosses. Within the year Budd had suffered a nervous breakdown and left for an extended leave in Europe. After two months he returned and handed in his resignation. The company he left would be lost to a series of mergers and gone in under 20 years. However, the company Budd was about to begin would become renowned for its products and applauded for its innovation in the same amount time. The Edward G. Budd Manufacturing Company was founded on July 22, 1912 with $75,000 from his own savings and another $25,000 in investments The new company set up an office in the North American building at 121 S. Broad Street. Budd wasted no time robbing the talent from his former employer. His co-workers Russel Leidy and Joseph Ledwinka joined him at the newly established firm. Within the year, more investors materialized and the company was able to set up shop in a proper, yet modest, manufacturing operation in a rented single story building at the corner of Aramingo Avenue and Tioga Street. Their first contract was making metal truck bodies for a local coal company, but soon secured a large order for 2,000 bodies from the Oakland Motor Car Company, a subsidiary of General Motors, and another large order from Garford Motors. With this substantial business and smaller contracts with companies like Ford and Buick, the company expanded and moved into two rented floors in Boggs Mill at I and Ontario Streets. The new shop was sufficient for the final welding and fabrication of the steel bodies, but the steel press they had purchased to produce stampings had to be kept in a large galvanized steel shed and the steel sheets were stored in a large circus tent pitched in the adjoining lot. While operating on razor thin margins, Budd expanded again to continue growing his business, purchasing the former Grabowski Wagon factory in Detroit to set up new productions lines closer to his primary customers. However, no sooner had the Oakland car bodies begun arriving from Philadelphia for finishing, word reached Budd that Garford Motors had gone into bankruptcy. This loss of a major contract almost destroyed the company, which, by 1914, employed roughly 400 men. Budd was forced to sell his recently acquired Detroit facility and even appealed directly to John Willys, owner of Garford Motors, to make partial settlement on the contract so Budd could save his own company. Willys agreed, and with a $100,000 check effectively saved the Budd Company from entering bankruptcy itself. With the crisis averted, things began to look up for the company. Garford Motors was purchased by Studebaker, who would become a Budd customer for years. More importantly, the newly-formed Dodge Company sought out a substantial contract with Budd. The Dodge brothers, both of whom had machine and metal working experience, believed firmly that steel bodies were the future of automobiles. By the end of 1914, they had signed a contract for 5,000 new car bodies and fenders to go with them and agreed to pay up to $25,000 for tooling costs. The new contract grew the Budd Company to 600 employees and necessitated a move to larger, purpose-built production facilities. In 1915, the company moved to its final Philadelphia location, at Stockley Street and Hunting Park Avenue. With the previous contract filled, Dodge put in another for 1915, this time for 50,000 car bodies and parts. Accordingly, Budd expanded yet again as he continued to pick up more automobile contracts. By 1916 the company had 2,000 employees that produced 500 car bodies every day that were produced and shipped to Detroit from Philadelphia. Despite his success, Edward Budd was not the sort of man to rest on his laurels. He presented the Dodge brothers with the first pillarless hardtop roof in 1916, a construction technique which would not become standard for decades. In 1917 he presented the company with a completely steel framed and bodied sedan, developing a more improved welding and fabricating techniques to achieve it. That same year Budd formed the Budd Wheel Company, as a sister operation focusing on all-steel automobile wheels, which Budd accurately imagined would one day replace the wooden spoke wheels most cars of the era still used. By 1919 the Budd Company was enormous compared to its competitors and held a crucial position in the industry. The company owned dozens of patents on processes necessary to produce steel car bodies, essentially forcing any automobile manufacturer who wanted stamped steel bodied to buy from Budd. 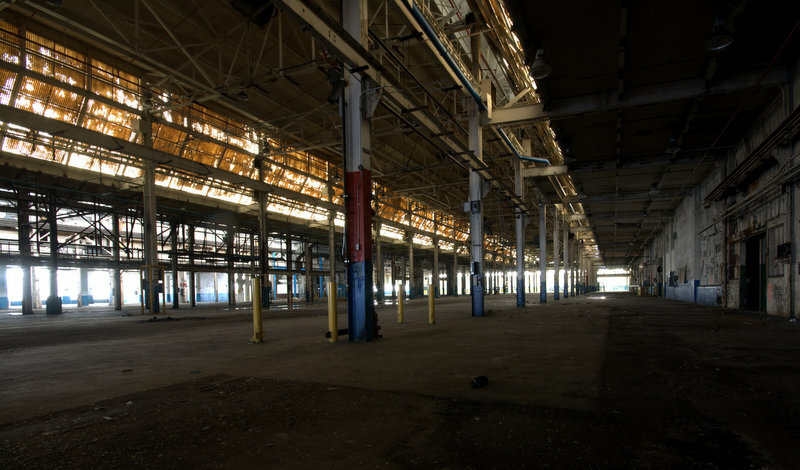 The company and factory expanded at such a furious rate that in under a decade the Hunting Park Plant had grown from a single industrial building to a sprawling 15-acre complex. 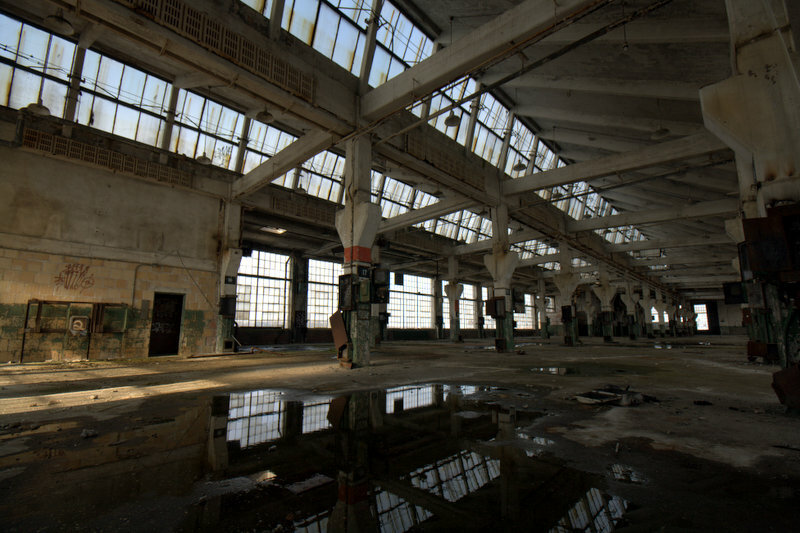 In 1919, it was noted in a report that the plant’s 80,000 windows could alone cover three acres. The company offered cafeterias serving hot food for each department, its own company orchestra, a newsletter “The Buddgette,” company sports teams, and a medical facility with the nation’s first staff factory physician. 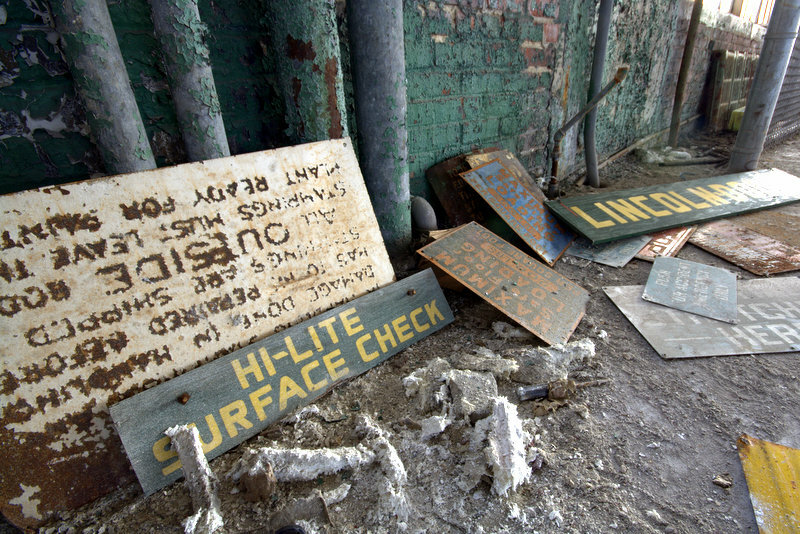 The plant itself had produced over 600,000 car bodies since its founding, which was, as noted in the Company history, enough to stretch from Boston to Chicago if laid end to end. This growth would continue throughout the 1920s. 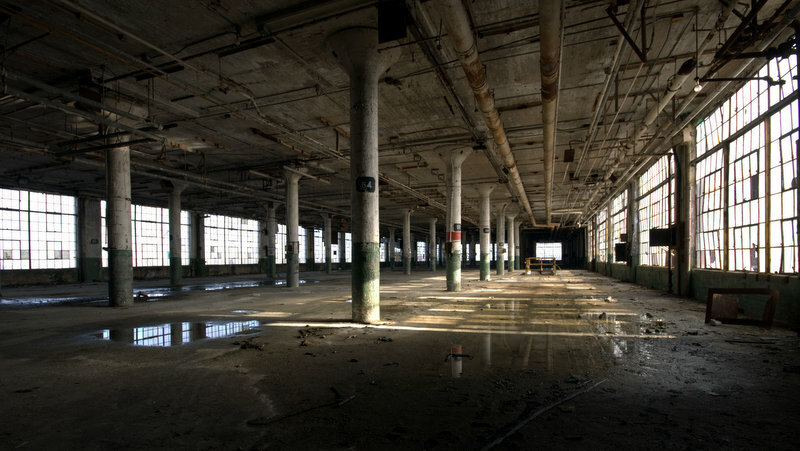 A sprawling new facility was purchased in Detroit in 1925 to serve as Budd’s Michigan headquarters. This growth becomes even more astonishing when it is taken into account that, in 1917, with the U.S. entry into World War I, almost all production was diverted away from the auto industry in order to build war materials. In two weeks the company had retooled and began production of shell casings, gun carriage wheels, and other assorted ordinance, but the largest contribution was in the production of helmets. Budd’s huge press shop, which had been built for automobile parts, churned out 25,000 M1917 helmets daily, producing 1,150,775 by the time the contract was canceled, by far more than any other producer. While the manufacturer’s stamp codes have been lost to time, if you find a WWI helmet with a “ZC” stamp, the odds are it was made by Budd. When November 11, 1918 came and the war ended it was only another few weeks before the company had transitioned back to peacetime production just as smoothly as it had transitioned into wartime. When the stock market crashed and the economy tanked in 1929 so did the automobile industry. Within one year most automakers had been forced to lay off half of their employees, and their suppliers, like the Budd Company, were forced to follow suit. To Edward Budd this loss of his employees, whom by 1929 numbered over 10,000, stung worse than any loss of profit ever could. He made a truly stalwart effort to retain as many jobs as he could, while keeping his company profitable. Budd turned his attention to finding use for the recently created corrosion resistant alloy know as“stainless steel.” He and his engineers first decided to put it to use in aircraft construction and soon signed a contract for a prototype seaplane between the Budd Company and the American Aeronautical Corporation out of Long Island. It was not a commercial success due to the poor economy, but the all stainless steel Savoie Marchetti seaplane was an engineering marvel. Today it is on permanent display outside of the Franklin Institute. Parallel to this aeronautical venture, the company also formed it’s own Naval Department and soon began taking on contracts building stainless steel hatches, masts, and other ship components for the U.S. Navy. The department would go on to fulfill contracts up through WWII. 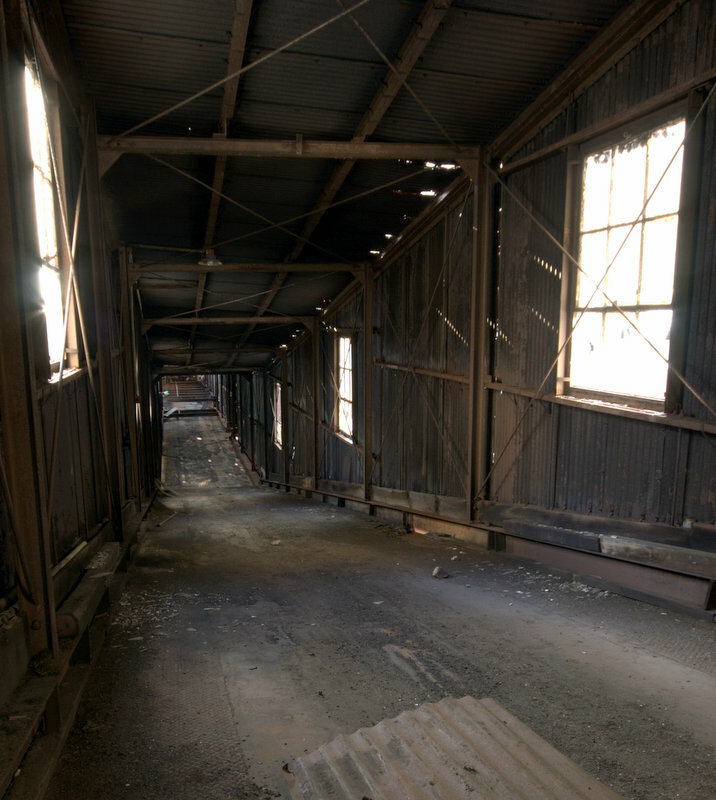 But the company’s largest success in product diversification was the expansion into railcar building, and it was in this field where Budd would gain most of his enduring notoriety. Venturing into railcar design seemed a natural choice. Budd and his top engineers all had a background with some railcar design while working with Hale & Kilburn. The company was confident that it could create a faster, lighter, and modern train, but times were tough for the railroads, and new expensive train sets were not in the budget for any of them. Despite this, Budd went ahead anyway and sent his company to work on the development and construction of a new class of stainless steel locomotives and cars. In the ultimate demonstration of his altruistic goal to keep his workers employed, these groundbreaking trains were to be sold essentially at cost to the railroads. It was in this endeavor to build stainless steel railcars that he developed the “shotweld” process, a method a welding that precisely controls the amount of current applied to the metal, allowing the weld to be made without weakening the adjoining steel. This allowed for thinner steel sheets than ever to be welded together. The result was a series of new streamlined trains called “Zephyrs.” These ultra modern and sleek trains succeeded in capturing the imagination of the American public when they went into service in 1934 and were wildly successful. They represented the cutting edge of railroad engineering at the time. Their diesel-electric engines were decidedly modern compared to the the standard steam locomotives of the day, and their innovative use of stainless steel construction set the new standard for all trains that would follow. The Budd Zephyrs remain to this day an iconic example of railroad engineering and design. The diversified company powered through the Depression busy with planes and trains, but the automotive arm did not sit idle and managed to grow as the economy slowly recovered. By 1930, Budd had developed the world’s first front wheel drive car, which later went into production as a Citroën in 1934. Their work perfecting sheet fabrication allowed the company to help design and produce streamlined cars that only a few years before would have been impossible to make. Between 1934 and 1935 production increased 30 percent as they supplied parts to virtually every car company in the country, as well as many in Europe. 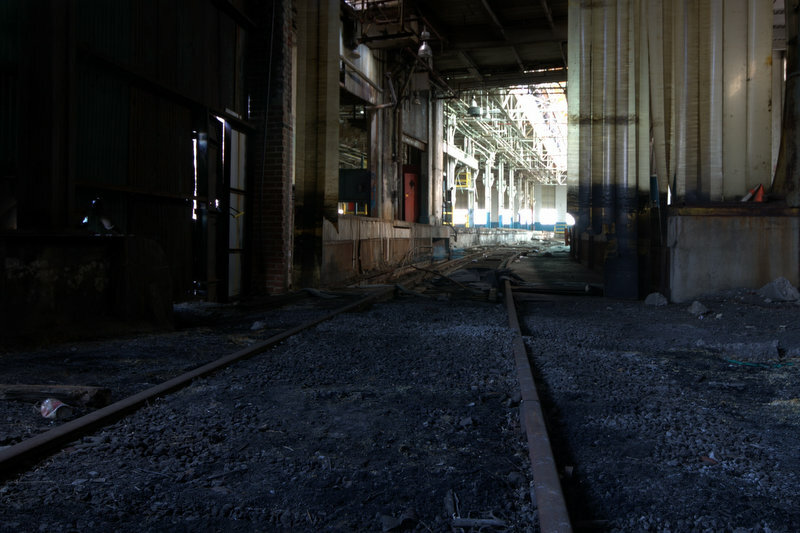 Money was once again flowing into the Budd Company and before long both the Detroit and Hunting Park Plant were operating at near full employment. However, this growth all came to a screeching halt in December 1941 when the United States was drawn into war for a second time. At the time the company was producing the most advanced unibody car in the world, the 1942 Nash. It shifted as rapidly into war production as it had done 23 years prior for the first World War. However, while the military needed Budd-made materials, it also needed manpower. In the first three months of the war, over 4,000 male employees had left for military service and 5,500 women had been hired. Throughout the war roughly half of Budd’s workforce was made up of women, with some departments being up to 90 percent female. Budd’s Naval Department began cranking out the same masts, hatches, and bulkheads it had begun building in the 1930s, but now by the thousands. The company began making artillery shells of all sizes. The Hunting Park Plant was the primary producer of anti-tank rockets for the M1 Bazooka. Other products include a laundry list of aircraft components, truck bodies, vehicle wheels, destroyer smokestacks, assembly jigs for B-24 Liberator bombers, and much more. The scarcity of aluminum prompted the U.S. War Department to reach out to Budd to develop a stainless steel transport aircraft and even built a new facility in Northeast Philadelphia to be operated on contract by Budd. The aircraft, which made its first flight at the Budd Airfield in Red Lion in 1943, became the RB-1 Conestoga. Although only 17 in total were delivered to the U.S. Navy, the plane was innovative and introduced many features now standard on military transport aircraft. By the time the war ended Budd employed over 20,000 people at three separate plants. The company worked hard to accommodate the thousands of employees who were now returning from war. Edward Budd himself vowed in front of his workforce to find a position for each and every returning employee, saying of those who had been wounded or suffering from PTSD, “They are still men.” The medical center was expanded to better accommodate returning soldiers with more doctors and new equipment. The company put $15 million into plant improvement and expansions. 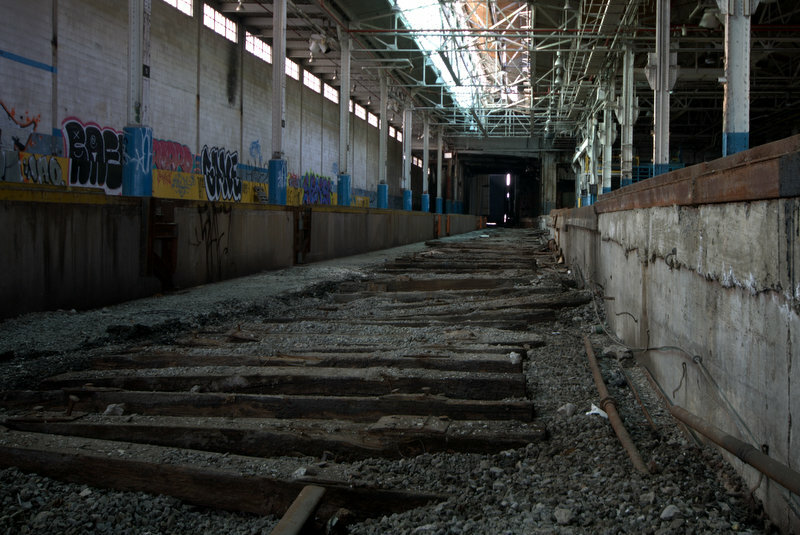 The Northeast Plant was soon to become known as Red Lion and was designated as the new location of Budd’s rail car operation. By the end of 1945 the plant had already produced its first train car since the war began. 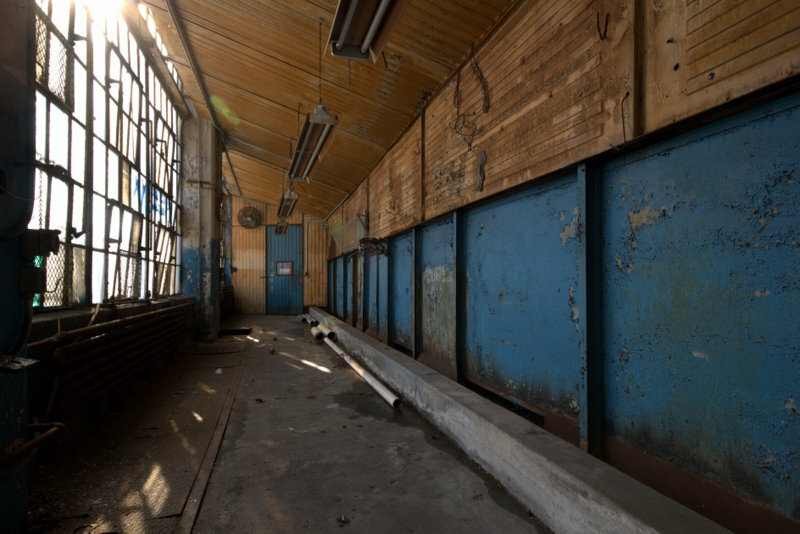 A materials depot was constructed in Philadelphia to stock any steel the company would need, and the Hunting Park Plant was modernized and connected by new flyovers, conveyors, and 111 new presses were installed. In a matter of weeks the entire plant had been retooled back to peacetime production. Sadly, it was only shortly after this massive overhaul that Edward Gowen Budd passed away at his home in Germantown on November 20, 1946. Now without its founder, the postwar boom was still very good for the Budd Company. Automotive sales were at an all time high as so were the company’s profits. The Red Lion Plant, previously leased from the government, was bought outright in 1948, and, by 1949, Budd found itself deferring potential contracts due to a simple lack of manufacturing capacity at all three sprawling plants. That same year the railcar division introduced the Budd RDC, or “Rail Diesel Car,” a self propelled passenger train that became widely popular due to its reliability. 398 RDCs would be built between 1949 and 1962 and many remain in revenue service with railroads to this day. As their RDC production wound down in the 1960s the company scored new contracts producing cars for the Market-Frankford Line. The M-3 aka “Almond Joy” cars became the first stainless steel subway cars produced in the United States. Budd set the standard once again. At this same time the company was introducing their new lightweight electrified passenger train. An improvement on their short lived Pioneer III, the improved units were dubbed “Silverliners” and went into service in 1963 on the Pennsylvania Railroad’s regional rail in Philadelphia. 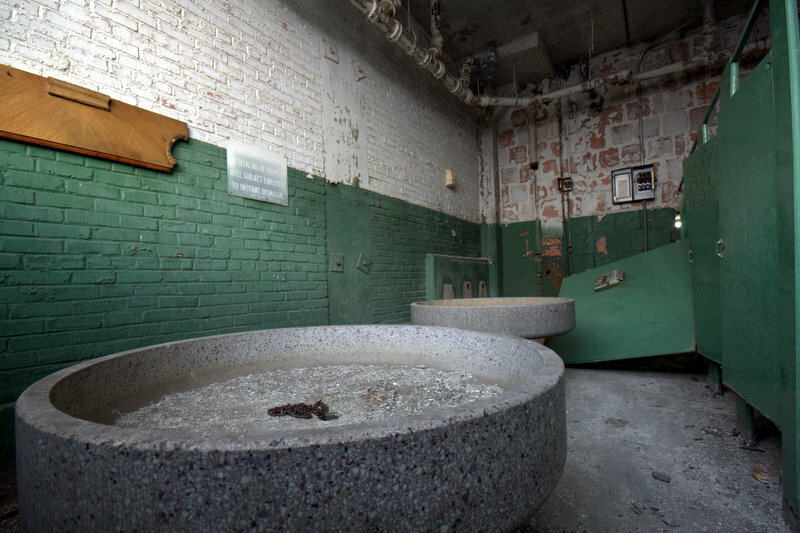 The Korean War brought decreased sales and steel shortages, but Budd soldiered on, scoring military contracts and building a large addition to its Hunting Park Plant to produce tank hulls and turrets. The company thundered into the postwar era as the largest automotive parts producer in the world. Yet, after Budd’s record-setting auto production in 1955 of eight million vehicles, the following year saw a 25 percent decrease, producing only six million. Budd would remain an automotive company, but the slowdown in production inspired company brass to look into further diversifying, something that they had slowly been moving towards for the past few years. In 1956, Budd dove headfirst into a number of fields. Their aerospace division was working on jet afterburners for the Department of Defense. They formed the Tatnall Measuring Systems Company, focusing on advanced equipment and materials testing. Since 1954 they owned the Continental Diamond Fibre Company, which narrowed in on plastics. They began producing radiography machines and opened a Nuclear Division, a testament to the Budd Company’s constant desire to remain modern and groundbreaking. While these new divisions and subsidiaries had varying degrees of success, the company remained an automotive builder at its heart and continued to push the limits of sheet steel fabrication. The company remained defiantly successful, purchasing new plants and expanding operations and capacity at existing ones. Their success attracted the attention of the German steel and industrial giant, Thyssen. On April 25, 1978, after a vote by Budd’s shareholders Thyssen bought the controlling interest in the company. Budd remained an American company with its own management, but the timing could not have been worse. The heyday of the U.S. auto industry was coming to an end and for the Budd Company as well. Foreign car imports began to take a serious toll on the domestic car manufacturing. The 1980s marked a turning point for American car makers, whose foreign competition was once limited to Volkswagen Beetles. U.S. companies now faced an array of cheap and affordable Japanese imports that were taking serious bites out of their profits. It was not long until Budd began losing business and losing money. Downsizing was their only option. 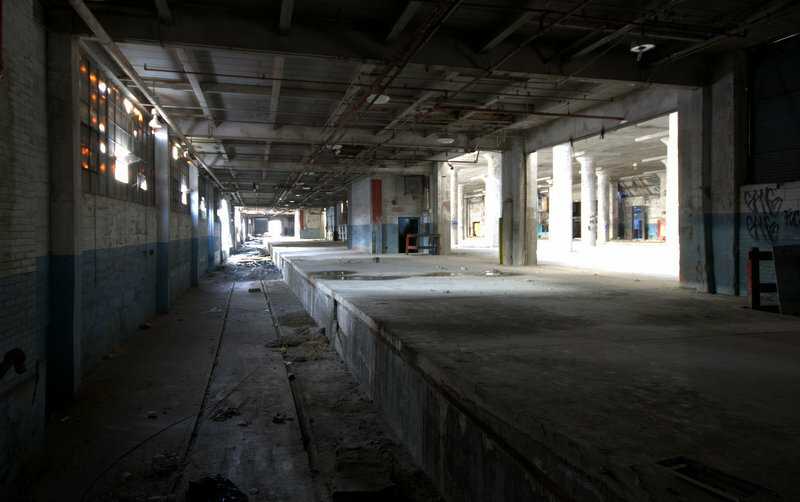 Budd’s large stamping plant in Gary Indiana was closed, and various other divisions were sold off. Their railcar building operation was separated from the Budd Company proper and reorganized as “Transit America.” The rail division continued to build at Red Lion until finally shutting down in April of 1987. The company that for the last two decades seemed to be growing in every direction was chipped away and forced to consolidate back to to it’s core: automotive components. However, even after the downsizing and with the Red Lion Plant gone, the company was bought out. Although the company’s headquarters moved to Michigan, the original Hunting Park Plant, the true home of the Budd Company, continued with production. In 1988, an ambitious new expansion and management program was implemented in order to help keep the aging facility viable. By 1993 the Philadelphia plant was doing $300 million dollars in business each year and employed 1,800 people, but it was still losing money. 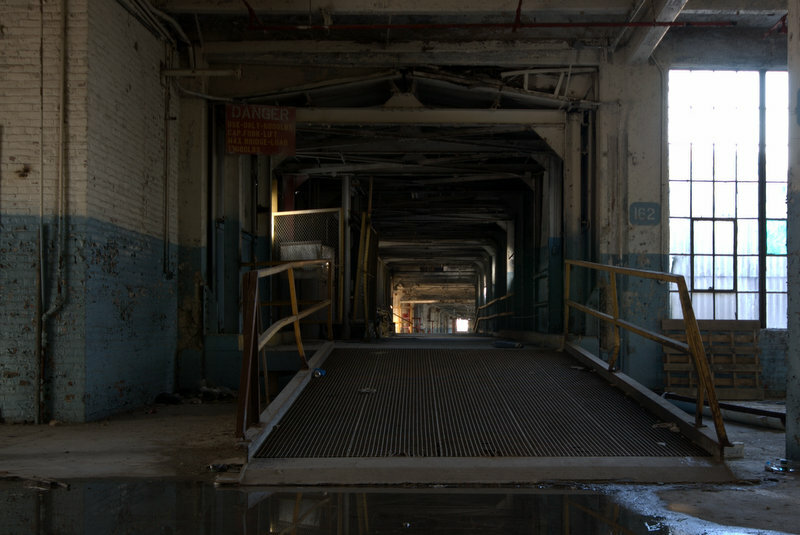 The final blow came on July 19, 2002 when it was announced that the Hunting Park Plant, the production facility where Edward Budd built his company up from a small auto part supplier into an industrial giant, was going to be closing to consolidate production to their plant in Detroit. At the time of the announcement the plant’s 600 employees operated 10 presses and eight assembly lines. 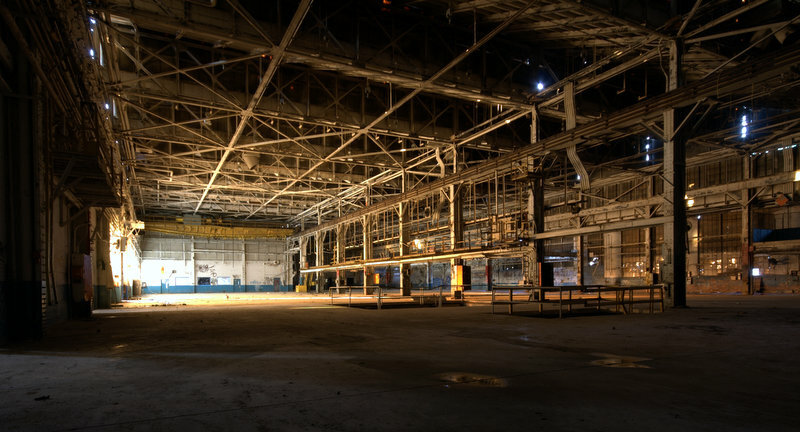 By that same time the following year only 120 men remained, and by the end of 2003 the plant, once employing thousands of men through a labyrinth of 20 buildings spread over 75 acres, went dormant. For the first time in 88 years the Budd factory was quiet. It has been over 15 years since the Budd Company left Philadelphia, when last press fell at 2450 Hunting Park Avenue and the lights went out for good. The economic impact of Budd’s departure was immediately felt in a neighborhood already suffering from the effects of deindustrialization. The closure was felt across Philadelphia and the country in so many neighborhoods and towns. 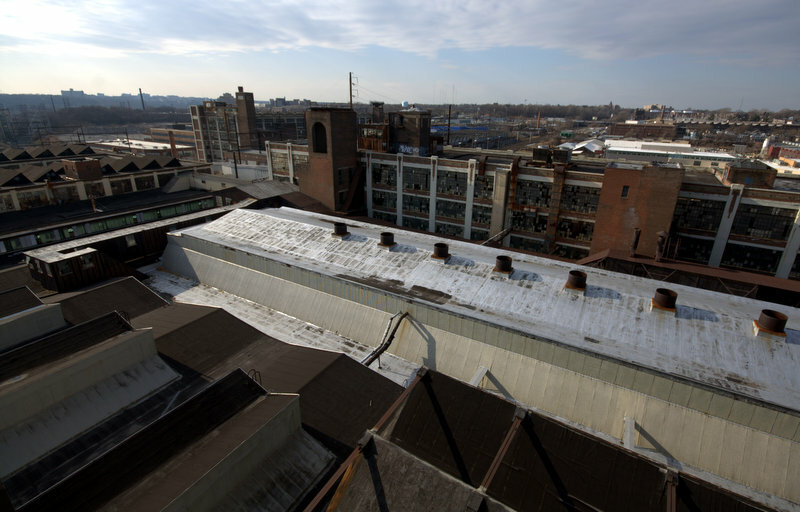 In an attempt and bringing back some of the opportunity lost by the closing of the factory, the sprawling Budd complex was designated a Keystone Opportunity Zone, a special designation that affords tax breaks in order to attract developers to a location. In 2004, the entire 75-acre parcel and its structures were purchased by Preferred Real Estate Investments of Conshohocken, one of the largest real estate firms on the East Coast, and plans for the “Budd Commerce Center” was born. The project was envisioned as an office and industrial park. According to the Philadelphia Business Journal, the proposal had the potential to attract more than 1,000 jobs. It was an ambitious proposition, but things didn’t exactly pan out as planned. 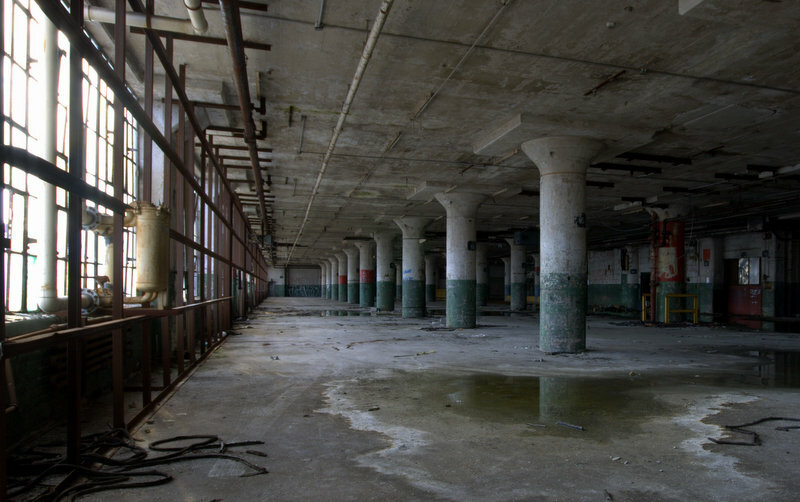 Since the Budd closure there has been significant progress made on the property and several areas of the old plant have seen development and rehabilitation. In 2004, the easternmost parcel of the complex and the 247,000-square-foot sheet steel Phoenix building, constructed in 1988, was sold to GRM Information Management Services for use as industrial document storage. A parcel of land behind the Baker’s Crossing shopping center was sold to Restaurant Depot, and the 1952 Pattern Shop building was purchased and is currently being used by Fresenius Medical Care. The two largest redevelopments to date were by the Salvation Army and Temple University. The Salvation Army’s Kroc Center of Philadelphia was built on the large swath of land off of Wissahickon Avenue, once occupied by American Pulley Company and, more recently, used by Budd as a materials storage yard. Temple University purchased all of the Budd property and buildings east of Hunting Park Avenue, moving into the K building, built in 1922, that still reads “Edward G Budd Manufacturing Company” above it’s entryway. After renovations, the university rechristened it the Temple Administrative Services Building. Perhaps the most interested redevelopment plan on the Budd site, especially in light of recent political events, is one that never got off the ground. In 2004, with slot gambling freshly legalized, none other than Donald Trump, along with with 76ers owner Pat Croce, began pushing to develop part of the land for a new casino, which was to be called “Trump Street.” After considerable efforts to win over the community and even an offer to buy the Phillip A. Randolph Technical School from the School District of Philadelphia, significant neighborhood pushback successfully killed the casino, and Trump Street never came to be. Despite the success of unloading the majority of acreage, the 25-acre core of the Budd complex, comprising the vast majority of buildings and floor space, remained unsold and unleased until March 2011, when the remainder was sold to a single buyer. The new owners decided in short order that security, which had almost miraculously kept the property secure for years, was no longer needed or wanted, and security staff was let go shortly after the sale. It was not long before the now unmonitored cameras watched scrappers cut locks and cart away anything and everything of value. The building was again open business and not in a good way. Ultimately, this free-for-all ended in tragedy the following year. On March 28, 2012, two men who had been driving their van inside the building by way of an unsecured shutter door to load up their stolen haul of scrap metal were ambushed. Following a struggle, one man was shot, and the other drove the van through the door to escape. The driver was later found and arrested by police but his partner was not so lucky and died of gunshot wounds on the stairs of a nearby home.In 2013, scrapping activity caused a 25,000 gallon oil tank to leak onto the adjacent CSX railbed, costing the company almost $200,000 in remediation and spurring a lawsuit. Today the shell that was once the Budd plant is essentially open to anyone who wants to have a look. The copper plumbing and wiring are long gone and virtually anything of value has been stripped away. 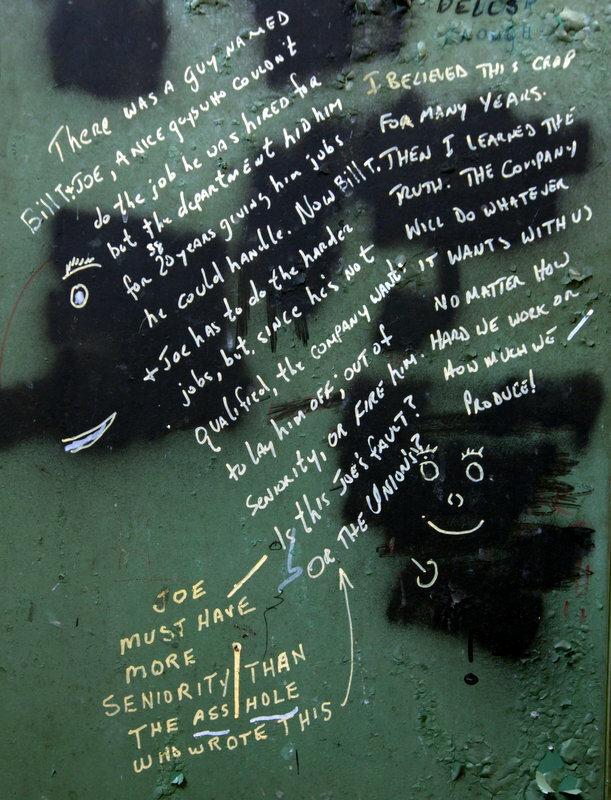 With the scrappers mostly gone, the building now sees a steady stream of urban explorers, photographers, and graffiti artists. Despite it’s monumental size it would be difficult to spend time there without running into at least a few other people. 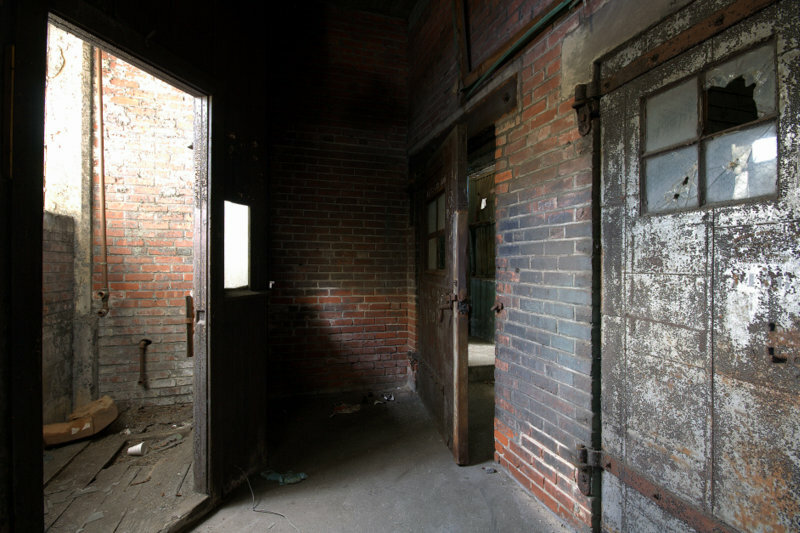 Several attempts by the City and owner to secure the building have inevitably ended in failure, and would-be visitors have their pick of entrances on virtually every side of each complex. The plant itself is something to behold if only for its sheer scale. Massive press rooms run for hundreds of yards with ceilings several stories high, like a great cathedral of industry. It is impossible not to look out from a room onto the abandoned complex and not be impressed by the amalgamation of towering buildings thrown together over the last 70 years. 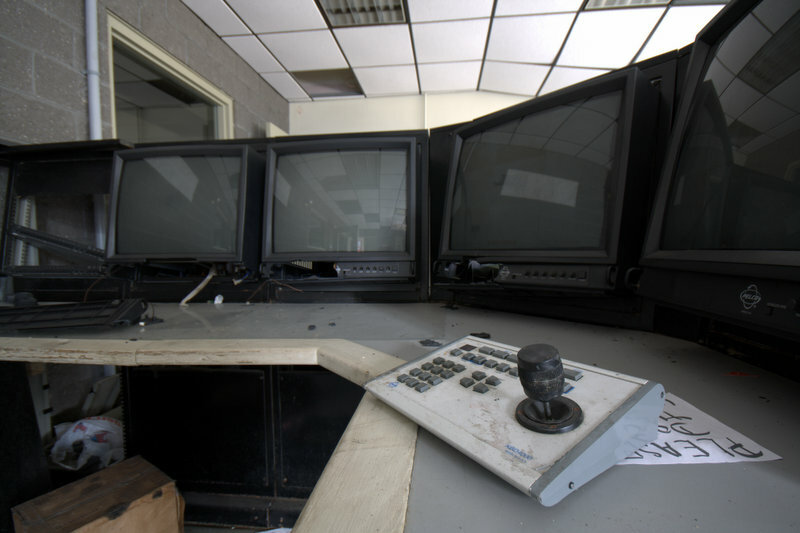 What is also astonishing is that a facility so large can be completely abandoned. The buildings are currently listed for sale for an undisclosed price and have been for several years now. At this point, any interested developer would be dealing with a shell of a building, making a sale, even for warehouse space, all the more unlikely in a neighborhood overflowing with unused industrial space. 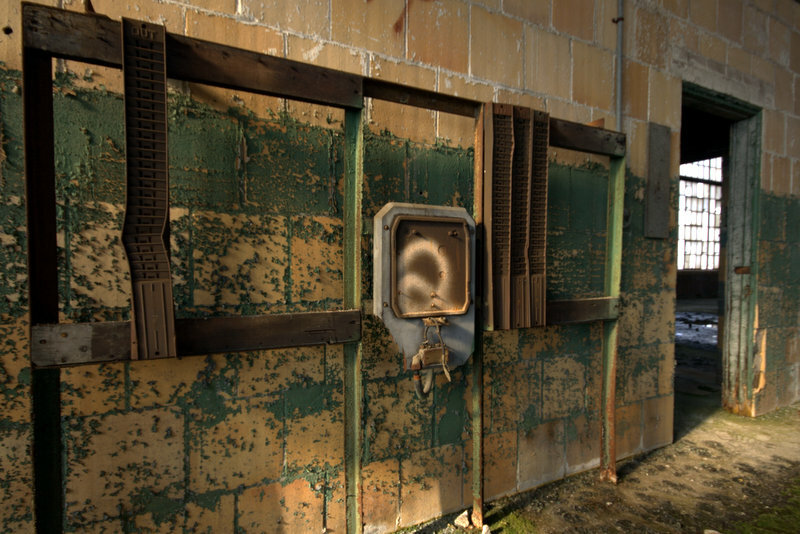 Derelict and idle, it seems that the Budd Hunting Park plant will be forced to silently hang on for years to come until fire, demolition, or another use is finally found for it. On the production floor at the Edward G. Budd Manufacturing Company’s Hunting Park plant. Images from an extensive collection of company photographs acquired by Robert Masciantonio. Workshop on the top floor of D building, the tallest building along Hunting Park Avenue, 1924. Working on a 1926 Dodge Series 116 Sedan, 1925. Workers, many quite young, in what appears to be a maintenance shop, 1924. Working on the rear of a car body, 1924. What appears to be a shop sample of a 1926 Dodge Series 116 Sedan. Notice the two different paint jobs on each side. 1924. Two massive hydralic punch presses. The Hamilton on the left is rated to deliver 2400 tons of force, 1935. Although parts could be rapidly stamped en masse, they still required hand fitting and finishing. Here men assemble door components. 1924. Small part being bent with a jig, 1924. Shotweld being used on a Hupmobile Model 12-R touring car body, 1924. Placing of a sedan body on a conveyor, 1924. Railcars being loaded as seen from Crowell Street. This building is currently occupied by Temple University. 1925. Hupmobile touring body being moved, 1924. Finishing work on a cowl for a 1926 Dodge Series 116 Sedan, 1924. A view from atop railcars on the trackage along Crowell Street, 1925. An Avey Mill is used to drill holes, 1924. A view of the plant looking west from the roof. In the background can be see building from the Davis Bros Iron Works, Midvale Steel, American Pulley, and the Vim Motor Works. 1924. Robert Masciantonio attended Shippensburg University where he received his BA in Political Science and History. A proud native of Delaware County, Masciantonio carries a lifelong fascination with Philadelphia's deep, layered past. He has an strong interest in photography and architecture, with an emphasis on industry and institutions. Thanks from another Delco inhabitant for this fascinating article. I had looked through some of the archived photos of the Budd Co.when I discovered that a relative had worked there (along with others involved with wood pattern-making and metal molding), but this really put it all into historical context. It’s even more gratifying to learn that Edward Budd himself was such a progressive employer. My best friend’s (when I was a youngster in North Philly) dad worked at Budd, he was a machine mechanic and a very good one evidently, got quite a few promotions. He always spoke highly of Budd. Thank you for the great article. Very well researched and written article. I had some relatives who lived in the Hunting Park area and always spoke about the Budd plant. I had no idea it was such a vital company with a long and accomplished history. I find it revealing that the author doesn’t mention the discrimination that happened at this plant. Um, why don’t you mention that black folks weren’t hired to work at this plant at the time that blacks were populating this neighborhood beginning in the late 40s/early 50s after the war and were shunned by the Budd company and lots of other companies at the time. We were coming back from the war with the new GI bill and the whites were selling us their houses but we couldn’t get their old jobs.. The article’s focus was a general history of the Budd Company and it’s many ground breaking achievements. 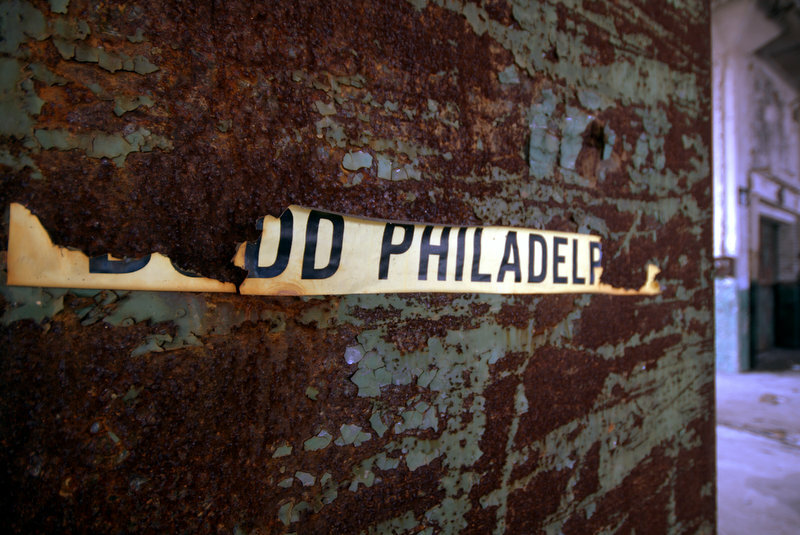 Past discrimination in hiring practices, redlining, white flight, and other social issues in Philadelphia during the post WWII period were beyond the scope of the article. You are absolutely correct that many companies discriminated against African-Americans in in the past, and yes, the Budd company may well have been one of them. However, I can say with certainty that the Budd Company began hiring African-Americans as far back in the 1930s, and continued to hire workers of all races up through their demise. My personal collection of Budd Company photos almost entirely dates to the 1920s, but there are an abundance of photos available from the Halgey Museum and the Temple University Urban Archives that attest to the diversity of Budd Co’s workforce in the 1940s and 50s. I truly didn’t mean to make it sound like the company was totally racist. They hired black folks in the cafeterias and maintenance departments but they really weren’t interested in hiring welders or other skilled laborers that paid more money until the 1970s…maybe some in the 1960s…I was a little kid, in a nearby Catholic school and remember my dad trying to get a job at that plant for years while we were living in Swampoodle. Just being a little kid, I couldn’t understand why my dad couldn’t get into “Budd” and my mom being disappointed. My dad was a cook in the Navy during WWII so he couldn’t understand why he couldn’t even get into the cafeteria even though he was a skilled welder. He just wanted to get into the door so that he could get the benefits for his young family. Soon, my mom stopped being a stay at home mom and began working at Film Corporation which I think was on Allegheny Avenue. What a great article. I was aware that the Budd Company had pioneered shot-welding for stainless bodywork, but didn’t realize how far back the innovation went. And knew nothing of Edward Budd. Sounds like a remarkable, admirable man. Love all the photos, past and present! Articles like this are why I support Hidden City. Thanks! What a wonderful history lesson on a very overlooked industrial giant. This kind of history should be a part of school curriculum to inspire our kids. Whether a person’s goals and dreams are master-craftsman or industrialists, Budd’s history of quality and innovation exemplifies quality, success, and business acumen. Edward G. Budd provides a very powerful role model and example of how to persevere, attain success, and provide for employees. I hope there is a book growing from this historical survey. Well done! Edward Budd would be in the class of Henry Ford, Thomas Edison, John Wanamaker, Wideners who helped expand transportation in Philadelphia, the Strawbidge and Clothier families who spread their stores. Numerous other industralists in this country who invented things that serve us well today. SEPTA bought the Silverliner IVs and they were delivered 1974-76. A Korean Company built the Silverliner Vs and the factory in South Philadelphia is now closed. SEPTA will need a billion dollars to replace the Silverliner VIs around 2026 when they will be 50 years old. Where will we find manufacturers to make what SEPTA will need to replace in 2026? A foreign company which will set up shop and then close when they receive no further orders? We need to find people willing to set up factories and to keep running them to take care of orders now and in the future. Thanks for the article & photos. I worked at the Red Lion Plant in the 1980’s where we made passenger trains and automotive frames. During WWII they made airplanes (flying box cars). Many of those old presses were still in use when I was there. I also have a collection of photographs I took when working. I just got my pension buyout last year – Thank You Budd. Great article! Let me add one note about how Budds innovative process continued through the years. As Ford celebrates the output of 10 million Mustangs you should be aware that this vehicle was originally developed in the Budd Philadelphia Experimental Shop in the early 1960’s and subsequently given to Ford’s Lee Iacocca, who was a personal friend of Budd’s chairman Gil Richards. While Budd sought no recognition, you should be aware that the original Mustang was inch for inch a duplicate of the Budd concept car. Thank you, Sir, for this very fine piece, remembering a truly innovative company. I have been retire from Budd for the past 13 years and I have many fond memories of the people who helped make The Budd Company remarkable. Thank you, again. Reading this brought tears to my eyes; especially the photographs. I worked 32 years in the office and whenever it was necessary to go into any of the shop areas I was in awe. The plant took on a life of its own and to see it this way is very sad. I started employment at Budd Co.in 1958.There were approximately 7,000 people working there at the time. This article is a wonderful tribute to the Budd employees from way back when to 2003 when Budd Co. at Hunting Park was closed. I am reminded of the many hours spent working there.The Budd Co. is still a large family. There are many groups of workers who meet regularly. I am Vice Chairman of UAW 813/757. We hold two meetings and a luncheon a year. Our attendance is usually from 200 to 300 members. Budd Co. is still a great family. I am happy to hear that so many former ex Philadelphia Budd employees remain connected. You can still see the faded UAW logo on the old union hall at 2332 W. Hunting Park Avenue across the street from the Budd Plant. It is a Banquet Hall now. My Grandfather, Father, Uncles & an Aunt worked at Budd for many years. I was there for one summer as a vacation replacement worker. Robert I have been researching Budd for more than 5 years now and would like to talk to you about your photos and Budd documents. I will be in Detroit the first week of Sept for research. I was reading this article and I see that people still have memory of BUDD company I am looking for some information regarding BUDD company if anyone is able to help out please this is a very sensative and important subject. I am looking for BUDD company Union rep who can give me the contact information for a worker from specific shift and a specific line as well. If you can provide me with any information i would greatly appreciate it. My husband and I met while working at The Red Lion Plant. Also, my father, brothers and grandfather worked at Budd. This was a great company to work for; but unfortunately, I believe its demise can be blamed on politics of the day. Jay McGill, if you’re searching for union information, contact the Headquarters of United Auto Workers (UAW). Or, try this toll-free number: 1-888-345-BUDD. This is the Benefits Administration Department in Troy, Michigan, where they have info on all Budd employees. There is a retiree helpline here: 1-800-221-8120. During the 1980’s the Budd Red Lion plant in Philadelphia was in full swing. They had all three assembly lines humming along with orders from AMTRAK, CTA (Chicago Transit authority) and other subway and rail lines around the world. Even without computers, this company was highly efficient and ran like a Swiss watch. One special order I recall was for the King of Morocco. He owned an 80-mile rail line. In this case, the King went all out for his self-propelled baby with Paris-designed interiors. His official emblem of two lions with front paws in the air and other embellishments was cast in bronze within a specialty forge in Philadelphia. The bronze emblems were about 5-foot tall, and one was placed on the front and back of each of his private railcars. Budd not only hired thousands of employees, but engaged local smaller companies for specialized work and supplies. Because Budd railcars were manufactured from a specialized, highly durable steel (from U.S. Steel), they were anti-corrosive. The parts market for Budd railcars continues on today because they held up so well over the years. Thought I would include this story, which happened approximately 1970. From time-to-time, I would work in both the auto and rail divisions of Budd. This time, I was working in the auto. A Budd executive from Detroit decided to pay a visit to the Red Lion Plant Automotive Division. He drove to Philly in his special-made Lincoln Town Car. Through Budd, the car was stamped out in anti-corrosive stainless steel, then given a “brush” finish. Well, this was the most gorgeous thing on wheels! From a distance, it simply appeared as a silver painted car; but up close….Wow! This is a really great article about a favorite subject of mine. Anyone who loves American railroading knows who Edward G. Budd was! His personal story, and that of his company, are inspiring on many levels. I’m writing a book on the Northeast Corridor’s high-speed electric ‘Metroliners’ that Budd built at Red Lion in the 1960s. Since Budd’s operations records are these days nowhere to be found, it’s been hard coming up with much information about the Red Lion plant. I would look forward to hearing from anybody that can give me details about its layout. I have been researching Budd history for about 8 years now. My focus is the automotive division 1913-1942. The importance of Budd for the development of the automobile cannot be overstated. No other company has had the global position to almost immediately implement its inventions all over the globe. Up until 1927 Budd’s all steel bodies were in principle structured the same way as composite bodies, the difference being that the framework was in steel rather than wood. This worked well on open bodies, the warping of bodies and doors could easily be adjusted to make everything fit. When Budd started producing sedan bodies for Dodge they ran into terrible difficulties. Ledwinka describes how the massive amount of welding caused the bodies to spring out of true when they were taken out of the jigs. This meant that the doors would not fit, especially as they too were severely warped. After endless sleepless nights Ledwinka decided that they could not continue with this nightmare. He realized that the sedan bodies had to be designed in a completely different way to take advantage of the inherent properties of steel. And the sides of the cars had to be pressed in one piece. As the steel industry didn’t produce sheet steel wide enough to do this, Ledwinka had to start by inventing a method to weld narrow sheets together and heat treat the welded, wider sheet so it could be stamped without cracking. This technology was first used on the 1928 Wolseley in England and on the 1928 Dodge Victory Six. This new technology revolutionized the way cars were built. The tradition carried on from the horsedrawn carriages was finally broken. The economic structure of the car industry changed from labor intensive to capital intensive, which meant that the whole coachbuilding industry was eradicated and the small, independent car manufacturers who couldn’t afford the huge up front investments the new technology required, were stamped out of business. The demand for wider sheet steel also changed the steel industry, which had to build new, wider rolling mills to satisfy its automotive customers. I would very much like to get in touch with other researchers of Budd history. I have some unique material which corrects some of the misunderstandings that have become part of the accepted history on Budd. And I need more pictures – some of which illustrate this article – for a book on how the modern car body came to be. (Your comment is awaiting moderation.) Note this is the spell check edited version of what I posted above. Obviously I should have done such before making the previous post. Can you use this to replace that? Great article, thank you so much for writing it. My maternal grandfather Harry E. Garrison “AKA Bud Garrison” worked at the Budd Co. his entire life. He ended up being their Comptroller. I understand he went with other Company officials to Wall Street when the Co. had it’s initial stock offering. I was told he was asked to write the history of the Company the last year he was there before he retired. I’m not sure when that was but I know he was retired before 1965. As I recall part of that optional assignment involved going to Europe for 6 months or so. For some reason my grandfather and grandmother didn’t want to go. Apparently that decision meant he didn’t get to write the history. I had the great privilege of working for the Budd Co. in the summer of 1965 as a “management trainee” between my Junior and Senior year as a Civil Engineering student at the U. of Delaware. I worked in the Maintenance Dept. at Hunting Park. I think a guy named Charlie McManus(?) may have been the Dept. Head. I worked with a full time Civil Engineer in the Dept. It was a fantastic experience which I’ll always remember and be extremely thankful to have had. Your article makes me want to dig in my resume records and see if I can find anything concrete about that time. I have numerous memories from that experience and stories that were shared by family members. My mother was a widow for 25 years but ended up marrying John Edwards who was the head of Marketing for Budd at one time. It would be great to connect with you and share more if you are interested.